As I mention perhaps too often here, breakfast is my most favorite meal of the day. And brunch, which many consider to be a combination of breakfast and lunch, is really just a well-timed breakfast for those who are not early risers. I count myself among them, preferring to take in a sunset over a sunrise most days. So all of that said, you know I had to indulge in brunch while visiting Memphis, Tennessee. The timing could not have been better, as Fuel Cafe had recently begun offering Sunday brunch which coincided perfectly with our visit. 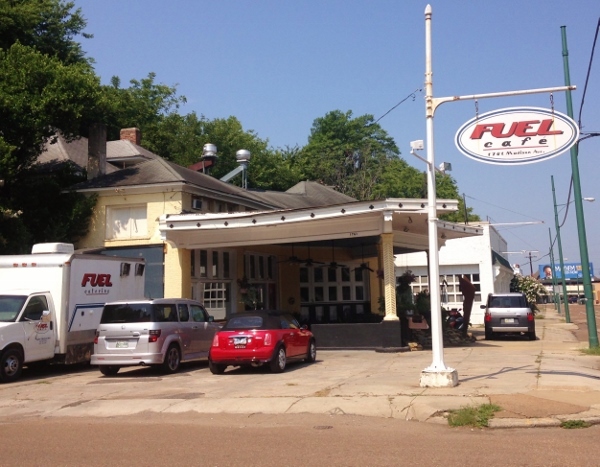 Fuel Cafe is located in an early 1900’s gas station in the Midtown neighborhood. I asked about the history of the building while we were dining and was told it had indeed been a service station, then part cafe/part gas station, then a Greek restaurant before finally becoming Fuel Cafe. The folding automotive bay doors original to the gas station have been left in place but didn’t appear to open any longer, although creating an open air feeling inside doesn’t seem necessary with the generous size of the patio seating area, under the original gas pump canopy. I had never seen garage doors like this, accordion folding back instead of rolling upwards. Very cool! The brunch menu is not huge, but provides plenty of options for meat eaters, vegetarians and vegans. 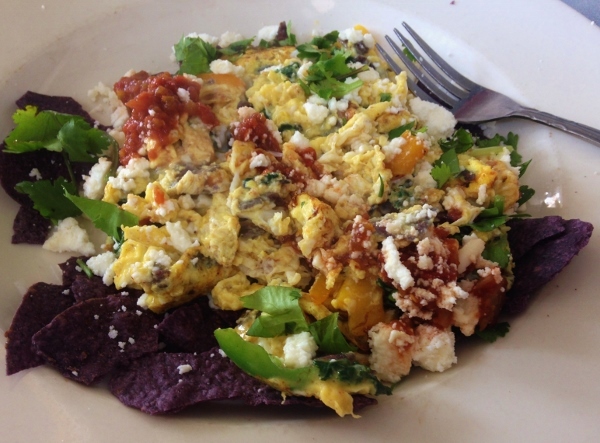 Our server was helpful in answering my questions about the dish I most wanted to try, Migas, and confirmed it was indeed gluten-free. I could also have it with tofu or eggs. I chose eggs after confirming the eggs were purchased at a local farmers market. I like knowing my breakfast was made by happy hens! My favorite fella had the vegetarian biscuits and gravy, which are not gluten-free. And as I mentioned here, I’m not going to share photos of the vegetarian B&G he keeps finding until I can locate a gluten-free version with which to tempt you. I do want to share that the sausage in the veg B&G at Fuel Cafe is made by crumbling their house-made veggie burgers. They do things right here, using local where possible and making food from scratch. No boxed, frozen veggie burgers here! I’m not usually a fan of mimosas at brunch but had to indulge while at Fuel Cafe. 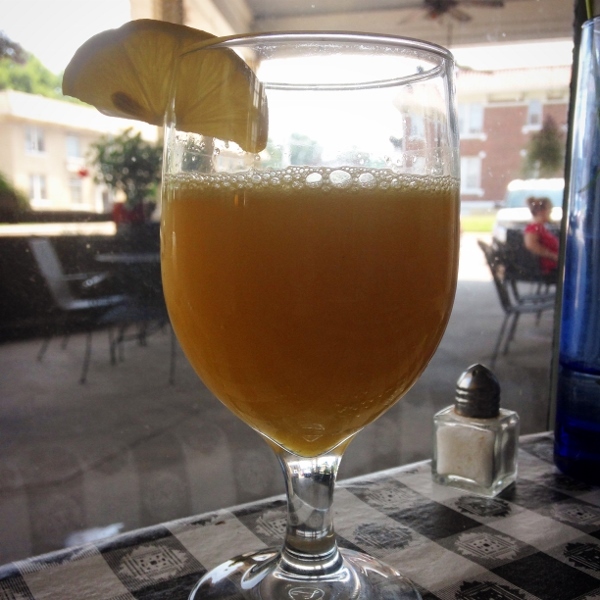 They have a Fuel Mimosa on the menu, made with gluten-free hard cider and mango puree. Holy wow, this was incredible! I had a good view into the kitchen from our table and spotted the chef mixing up their Bloody Mary mix while we waited for our food. I’m not a Bloody Mary drinker, but seeing a mix being made from scratch intrigued me. I may have a Bloody Mary on my next visit. You know how sometimes you wait a bit for your meal, but it’s really not a big deal because you are enjoying chatting and checking out the restaurant? Apparently we had that happen here, as we were treated to a flourless chocolate cake to thank us for waiting on our food. The wait wasn’t an issue for us, plenty of hot coffee and that Fuel Mimosa I mentioned, but apparently the staff wanted to make sure we knew they appreciated our patience. And oh, did I ever appreciate this goodness. The chef told me he usually serves it with raspberries, but the enormous blackberries caught his eye at the farmers market so he bought them instead. A bowl of those berries would have been an incredible treat. This chocolate cake was insanely rich, one slice almost too much for two people to share. I would definitely order it again. In fact, I didn’t have anything here I wouldn’t happily eat again. While chatting with the chef, we asked about other restaurants we should add to our not-to-miss list while in Memphis. 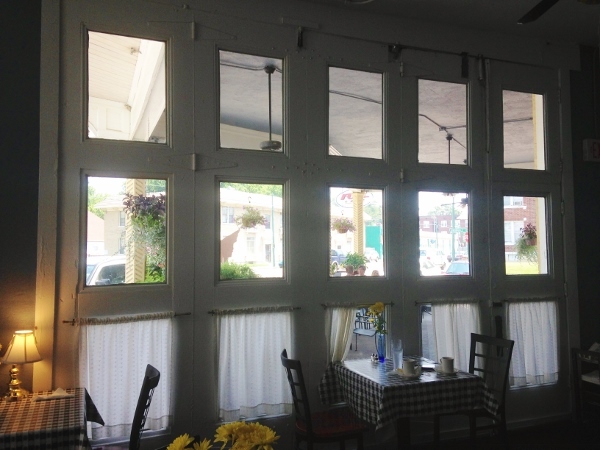 He turned to another diner and said, “You should visit this guy’s restaurant, The Elegant Farmer.” He introduced us to Mac Edwards, who was dining with another chef. We were offered a lengthy list of suggestions on where to dine, what spots we definitely must see on our visit. 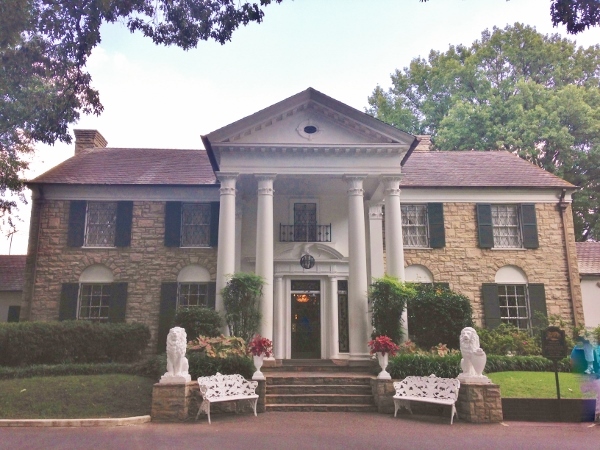 It became obvious to me in our brief conversation that we needed more time to fully experience Memphis, there are many incredible restaurants to visit here! If you are a fan of “Top 10” lists on the internet, maybe you’ve seen a list of the nation’s ten most dangerous cities. (I’m not linking to it, it’s a disservice to those towns and their citizens.) Memphis, along with four other cities I have visited this summer, has a spot on this list. Don’t let that list stop you from seeing our country, dining in locally-owned restaurants, seeing history and creating history of your own. So many cities beyond the typical tourist spots could benefit from our visits. There is much more to traveling in America than visiting Orlando. And don’t think for a minute the folks in these lesser-visited cities don’t appreciate it. As Chef Edwards was leaving, he stopped by our table and said, “Thanks for spending your hard earned money in our city. We’re grateful.” Memphis surprised me, I didn’t expect to find much beyond Elvis and BBQ here. Instead, I found a thriving food culture, warm people, more places to visit than time allowed. I’ll be back. Join me? EAT WITH: Minimal caution. Our server was well-informed and answered questions easily. I felt comfortable having breakfast/brunch here. Sun Studio. If you are a music fan, this is probably on your list already. For anyone wanting to see what Memphis music is all about, you must go visit Sun Studio. Our tour guide was so much more than a guide, he was a music historian. He got so excited telling us about rescuing some of the artifacts on display. One of the best tours I’ve been on anywhere! Standing in a studio where Elvis, Johnny Cash, Howlin’ Wolf, Roy Orbison, Jerry Lewis, B.B. King and U2 have recorded…well, you just don’t want to miss it. Stax Museum. Again, Memphis music scene. 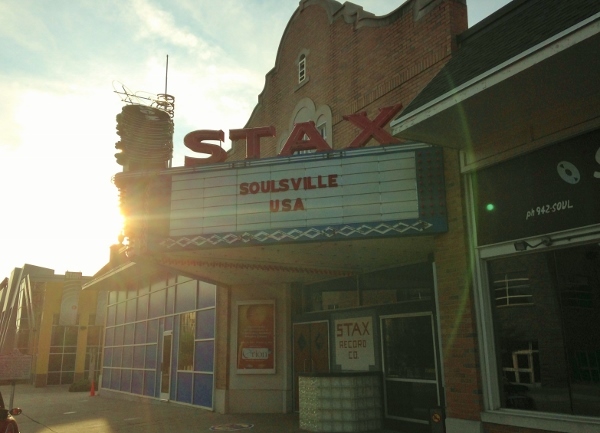 While the original building was torn down, the Stax Museum of American Soul Music is a replica of the original building (which was a repurposed movie theatre) and well worth a visit. Visiting museums in Memphis is the best glimpse into American music I’ve had yet. Otis Redding, Booker T. and the M.G.s, Wilson Pickett, and so many more recorded at Stax. Sunset. 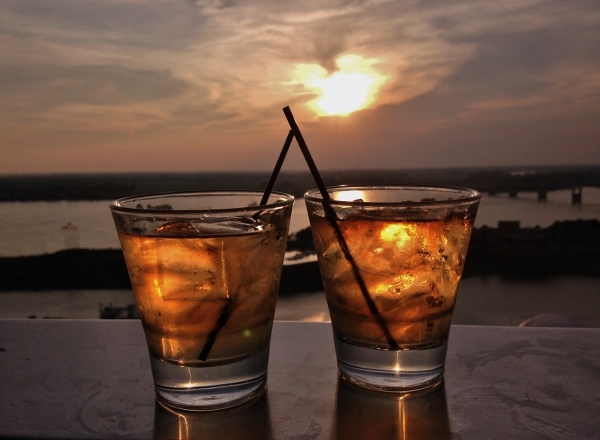 You know I love a good sunset and I have found the perfect spot to view the sunset in Memphis. 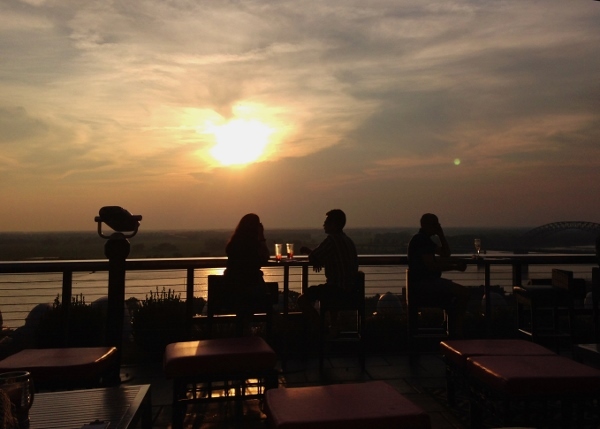 The Twilight Sky Terrace, seventeen stories up atop the Madison Hotel, has an incredible view across the Mississippi River into Arkansas. You don’t have to be a guest at The Madison to visit, but it would be great if you bought a drink. The dress code is “sophisticated casual,” so nice traveling attire should work. One of my favorite sunsets so far this year was from this rooftop. Sweeping views of downtown Memphis, chatting with locals and other travelers from around the globe, it was just a nice way to spend a sunset. I’m linking this post up with Gluten-Free Wednesday. Make sure you click over and visit. 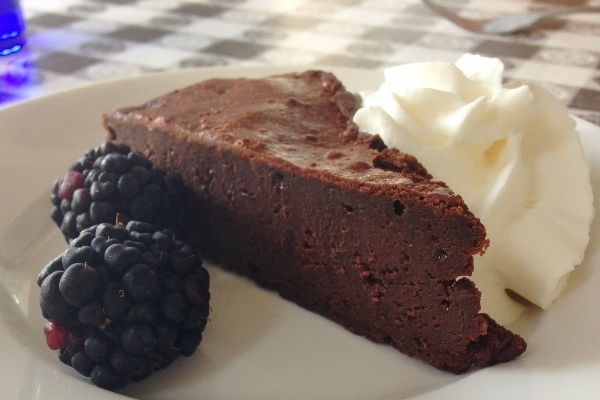 There are so many amazing gluten-free recipes and tips shared by wonderful gluten-free writers. It’s the best gluten-free resource you’ll find! What a great service you offer thru your foods and reviews. I loved the remark…”Holy, wow!” could be a whole new website for ya. I think your note about how we can we can be influenced by online lists is right on. I must admit I read those and have been influenced by them. On one of my cross country MINI buying runs I blew by Memphis thinking it was a bit too rough to stop in. Next time I’m in the area I’ll ck it out. I love the fact that chefs eat at Fuel. It says voles about the place. I know that you don’t do the what I didn’t like stuff like I do but I wonder if there was any downside to this eatery? Thanks for your valuable service. Thanks, Robert! I do hope you’ll visit Memphis when you find yourself in the area. It’s a wonderful city, so rich with music history and of course, great eats. I can’t wait to go back! For me reviewing a eatery must run the full gamut. I try not to interview with the internet bully attitude but if it’s bad or uneven in service or food… I tell it like it was. If we ever end up going back to Memphis, I’m calling you for recommendations. 😀 That mimosa looks like it’s right up my alley. Also, not a huge Elvis fan either but I enjoyed the Graceland tour. 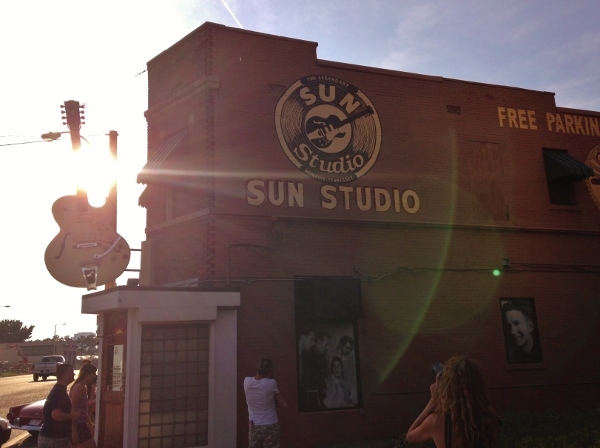 Couldn’t check out Sun Studio though. Couldn’t find any parking! We were challenged finding parking, too! We finally snagged a space alongside the building just as the previous occupant was leaving. We were there for the last tour on a Sunday and it was packed. Love seeing so many folks interested in the history of music! Can’t wait to go back to Memphis. My must-visit list kept getting longer while we were there.